Our first day at Disneyland was fantastic! We got a much later start than I thought we would, but that was okay because we weren't arriving with the masses. And, yes when I say masses I mean that Disneyland was really crowded. 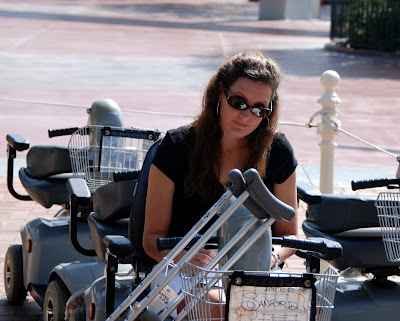 We started the day getting a stroller, checking in my crutches and getting an ECV. 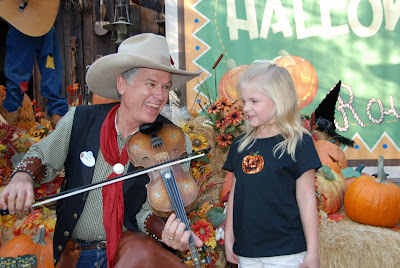 The guy that helped us has been at Disneyland for 30 years! I loved how nicely he wrote our name on the stroller label and the ECV label. If you look closely, you can see what I mean. We started out the day with Dumbo. It's a easy and non-threatening ride. 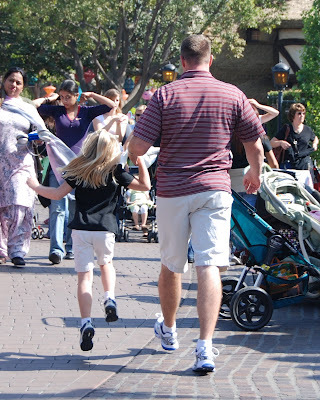 Melissa did some research for us and found some websites that map out how you should do your first Disneyland visit. We stuck to it pretty closely. All except "It's a Small World" because it was closed for Christmas preparation. The next ride they recommend is Casey's Jr Circus Train. 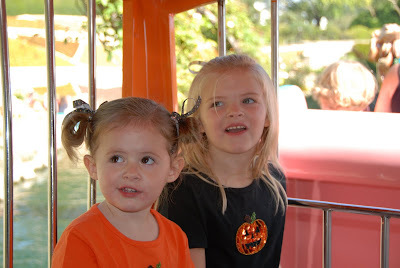 The girls wanted to ride in the "Wild Animals" car. 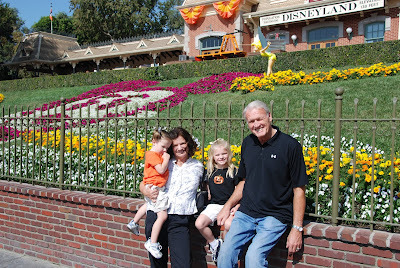 They enjoyed seeing all of the little villages that go along with the Disney stories. We saw them up closer doing the Storybook Land Canal Boats. These rides were gentle and quickly warmed them up for the day. This was the closest we came to a family picture, at least on the first day. 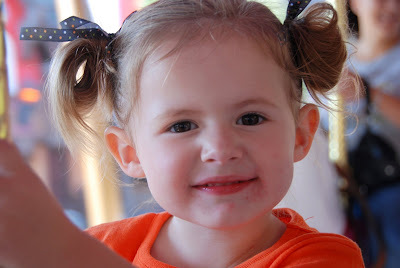 The teacups were Ivy's favorite ride. 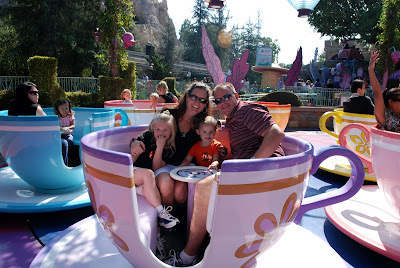 If you talk to her about it, she will also share with you that "Danpa threw up on the teacups, once." I don't know that that is actually true but she likes to share it. Even a week later she will still bring up that he one time threw up. Grandpa doesn't go on the teacups, because they do make him sick, but Space Mountain is the only one that I ever remember him actually throwing up after (not on). We went on the Merry-Go-Round, mostly for Ivy, but Jade enjoyed it as well. It's great that they don't have a bunch of different colored horses, just a few different colored saddles. It means there isn't a lot of running around and I want-ing. 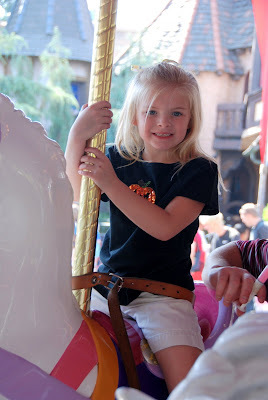 Here's a picture of cute little Ivy on the Merry-Go-Round. I love what a playful dad Scott is. He and Jade skipped along on more than one occasion. 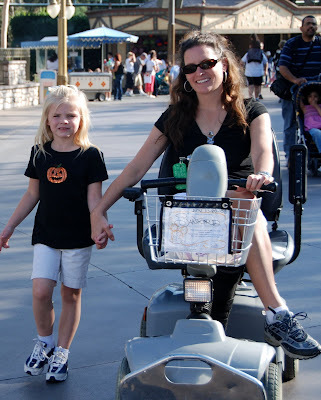 Here I am with my ECV. I was not allowed to have any riders- which was unfortunate and a constant battle. But, Jade would walk beside me holding hands. While we went on Roger Rabbit's ride (which was obnoxious and not a favorite storybook ride), my mom and dad played with Ivy in the Cartoon Town fountain. It was a good little break for her. Jade really loved being at Disneyland. She was so good and rarely got in trouble. For Halloween they have the stage at Frontier land all decorated. We went to the "Woody's Roundup show". Jade was so incredibly thrilled. She danced with them and when they were ready to do pictures with the characters, she ran to be in line. She was second and nothing but grins. 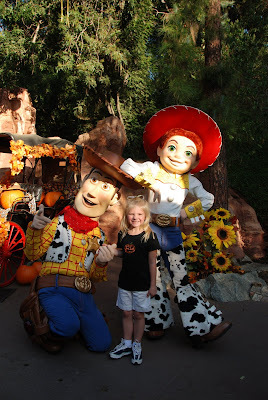 After she had her picture taken with Woody and Jessie, they continued the show with two Disney performers. They were so sweet to her. She would sing along with them and they noticed that she was singing. So, they invited her up to sing with them. She was so excited and didn't shy away at all. Once the show was over, she asked the female performer if she could have a picture with her. The girl turned around to do the picture right where she was. Jade asked her if it would be okay to move over by the stage and decorations. During the performance, she was asking kids what they were going to be for Halloween. Jade told her that she's going to be a Vampire Princess. She loved it and kept referring back to it and asked how you dress up like a Vampire Princess. Jade was happy to share. (Ivy, on the other hand, was happy to cuddle into Daddy and avoid the spotlight). 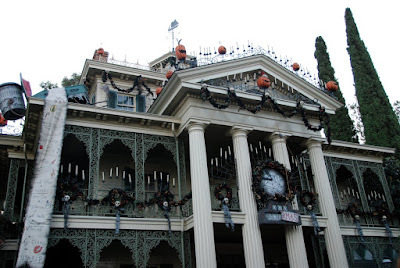 The Haunted Mansion was all done up for Halloween. 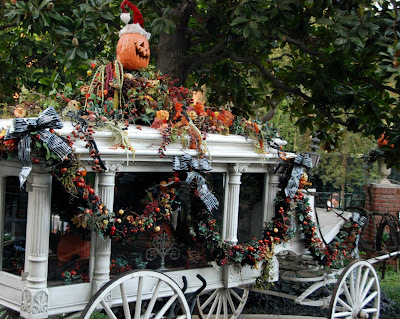 Every Halloween they transform the Haunted Mansion to Jack Skeleton and the Nightmare before Christmas. 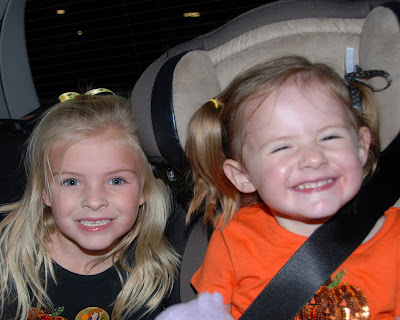 (Which has been the girls' favorite movie the whole month of October). This was one of the rides that my wheelchair really helped us out on. We entered through the main line but were diverted to the side and let right in. Here is another picture of their decorations. I would love to find some black wreaths and cool skeletons and add them to my Halloween decor. One of the last rides we did on our first night was Autopia. Jade and Ivy both tried to steer, but neither were strong enough. Ivy ended up sitting on my lap and we had a bumpy ride. 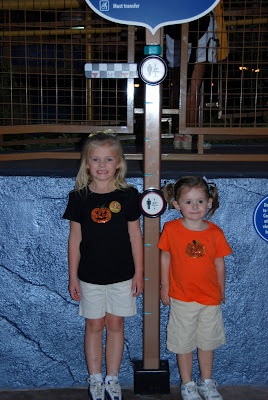 Jade was just excited to be on the ride and tall enough to steer, some. 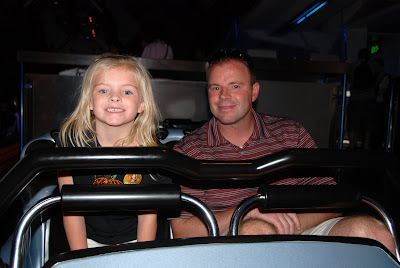 Jade's favorite ride was Space Mountain. For those of you who know Jade, that probably comes as no surprise at all. She is a little dare devil. 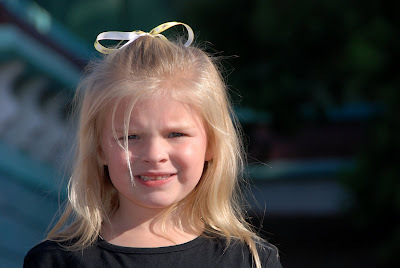 When we finished the ride, her grin could not be wiped off her face. She just wanted to go again and again. As we headed to the gate to go home, we were stuck behind the parade. Ivy was so excited to see Mickey and Minnie (it was the first time they were spotted the whole day!) 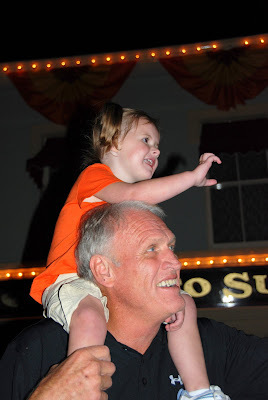 She sat on Grandpa's shoulders and just pointed and waved until it was all over. We ended the day with two very happy, very tired little girls. Sorry about the picture and Ivy being out of focus. I guess I was a little tired too. ooo, so fun!! what a perfect time to go to disneyland!! 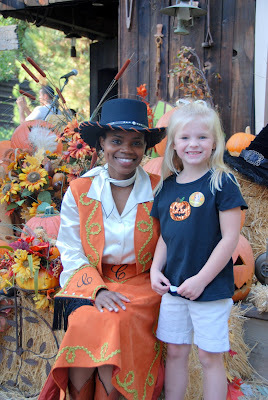 nice weather, not too crowded and fun halloween events! your girls are gorgeous as always! 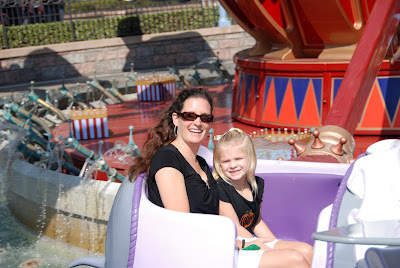 A perfect introduction to Disneyland for your little ladies. It really IS the happiest place on earth. Is it time to go again? Wouldn't this be adorable on Ivy?